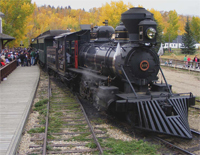 Health and Well-being: Corporate Wellness Program: Experience Fort Edmonton Park and Save! Corporate Wellness Program: Experience Fort Edmonton Park and Save! The City of Edmonton is pleased to announce that employees and members of companies and organizations participating in the Corporate Wellness Program can now enjoy discounts at Fort Edmonton Park. Please see Corporate Wellness Program Fort Edmonton flyer for additional information.